We started out to find a weathered barn to immortalize with our brushes; however, as we came around the bend in the road, Wendy and I noticed how the trees in the foreground framed the distant barn perfectly. You have to be open to new possibilities; we often start out with one concept in mind and find ourselves going in an entirely different direction, much like the turns of everyday life. 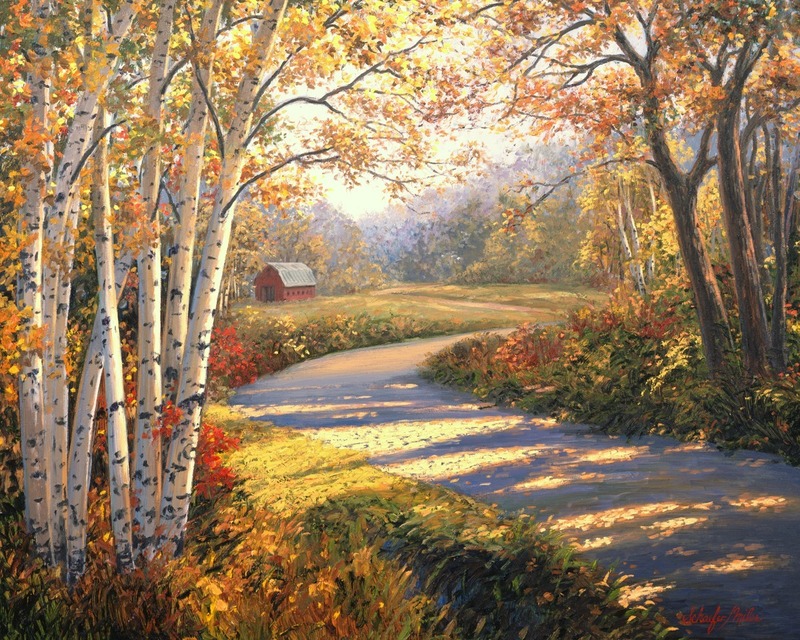 Please contact us about commissioning an original oil painting of Wisconsin in the fall. Custom Framing and custom sizes are available. Limited Edition Giclee on Canvas 95 hand embellished by the artists. Limited edition Giclee on canvas 95 S/N hand embellished by the artists.